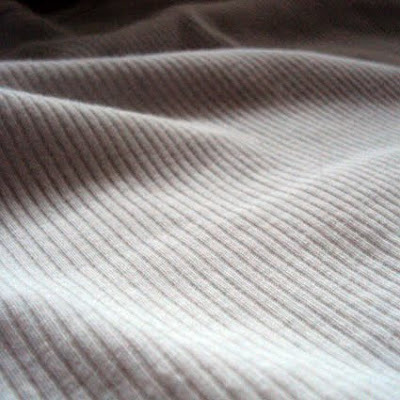 It's actually my mums' skirt! From the stuff I scored when I went digging in my family house attic a few months ago. Isn't the print totally 80's? This time I downplayed the retro vibe and kept it safe with a plain white ribbed tank top. Btw, I'm loving this new, under-the-knee length. 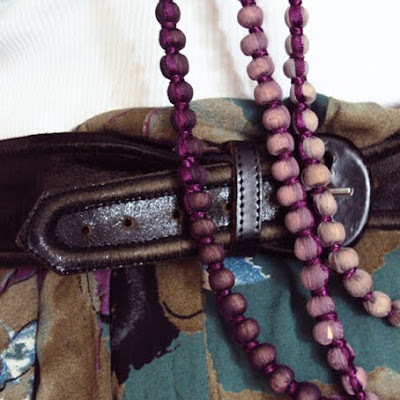 Although the actual length is mid-calf, which is a bit longer than I'd like it to be, so I just rolled the top a bit to make it shorter and held it all in place with my favourite belt. Finally, this is one of those rare times you'll see me sporting colour on my toenails. But who can say no to a free pedicure? 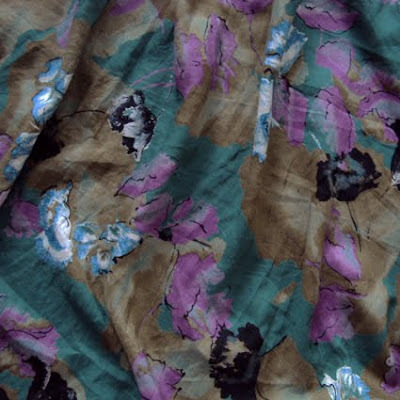 Abstract floral print skirt, mum's vintage. White rib tank, Topshop. Black leather belt, grandma's vintage. 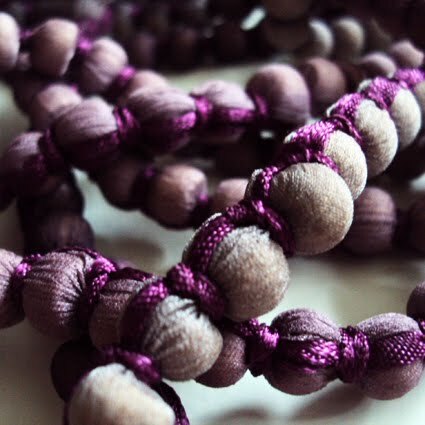 Purple fabric-covered bead necklace, Toi&moi. Grey wedge sandals, Camper. I like your mum's skirt and the way you wear it with your belt! Yay for mama's and grandma's closet treasures!! I love this whole outfit! I recently got a skirt with the same shape and length as yours but will hem it soon to be knee length. oh and I also envy your sandals, they are so basic yest so cute! I love the print on this skirt and the colours! 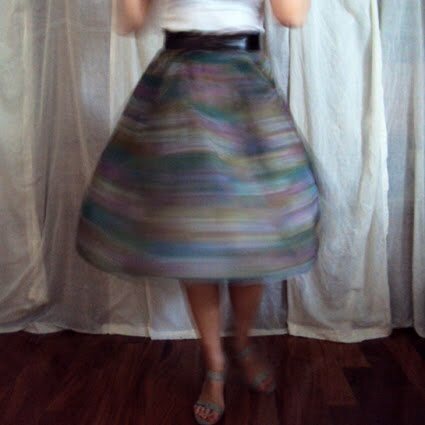 If and when you get bored, you can always transform into a bubble style skirt. OR wear as a belted tunic top and jeans. Smart move on rolling up the skirt to shorten the length...very creative. Love your posts! The are so authentic!